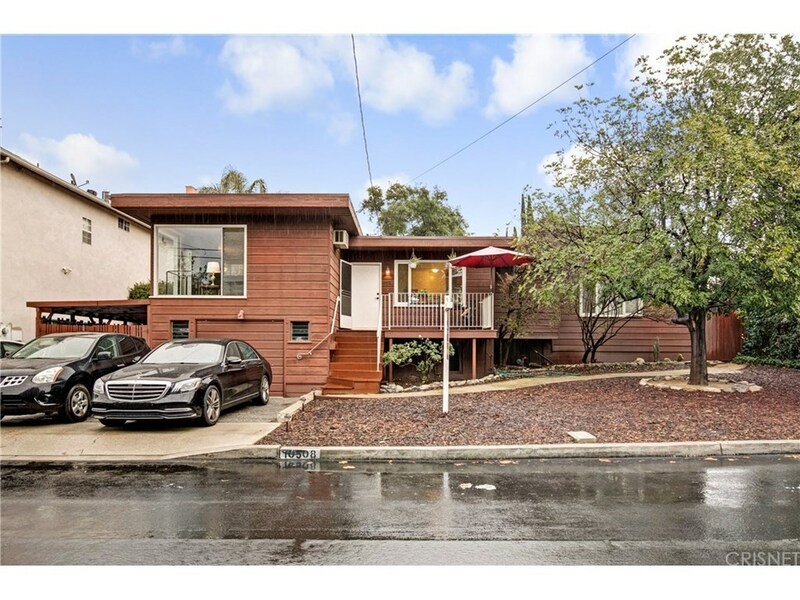 A beautiful 3 bed, 2 bath contemporary home in Tujunga that you'll definitely love for its warm and inviting character. Upon entry, you will be welcomed in an open floor plan kitchen with a large window that lets natural light in, just beside the eat-in area opposite the lovely porch outside. The dining and living area is also bathed with tons of natural light and views of the mountains! This is a relaxing space where you can spend time with family. Retreat to the large master bedroom including an en-suite bath featuring a double sink, granite counter-top, and shower. The other two bedrooms are adequately sized with large windows that again lets natural light or let the curtains down and sleep in. Private backyard with fruit trees and shrubs, separate sitting area and a space for a barbecue, perfect for family gatherings. It also has a separate structure currently used as a second garage with attached workshop w/potential possibilities for office space or a man-cave.